Description: Offering a "Second Set of Eyes" for all your business materials, online presence and presentations. Profile: With more than thirty-five years of strict attention to detail in all aspects of communication, I'm here to help you present yourself and your work in the most accurate and professional manner possible. Offering simple proofreading, copyediting and reference checks - your best defense against costly and embarrassing mistakes! Featured Products or Services: Proofreading and copyediting presentations, manuscripts, business material, web content and more. Description: The DeClutter Coach offers residential clients and DC Efficiency Consulting offers corporate clients a wide range of efficiency and organizational services with a client-focused, highly responsive approach. They help clients find the most cost effective and efficient manner of getting organized, increasing productivity and completing tasks and projects while incorporating their motivational training techniques for a positive experience with permanent results. Profile: NY State Certified Women-Owned Business Enterprise (WBE) , WBENC (National) & WOSB (Federal) Certified. While organization comes naturally to her, Certified Professional Organizer and Productivity & Efficiency Coach, Deborah Cabral, The DeClutter Coach, knows how difficult it can be to juggle multiple tasks and roles. 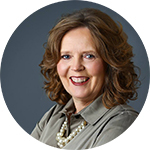 Deb is a former corporate business analyst who streamlined business processes and trained employees to maintain new, efficient systems. Now, as The DeClutter Coach, Deb helps families and businesses get organized for maximum productivity and to lead a less stressful lifestyle. As a wife, mother of three and active community member, Deb brings her innate sense of organization to all aspects of her life. Deb helps families and businesses work smarter, reduce waste, and boost morale. Her lively presentations and workshops captivate audiences and give people the tools they need to meet both personal and professional goals and objectives. 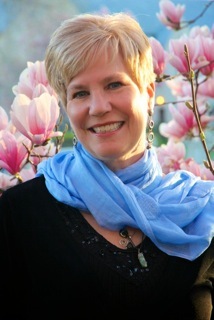 As an organizational practitioner and devotee, Deb teaches clients tried-and-true techniques for bringing harmony into their workdays and their lives. Deb draws upon her experiences, including 20+ years in corporate America, to hone her skills as a Professional Organizer and Efficiency & Productivity Expert. Deb believes that “for every minute spent organizing, an hour is earned.” She is ready to put her energy and enthusiasm to work to help you realize your dream of a peaceful and organized home or workplace. In 2011, Deb added TV Host to her resume. Her television show Organization Motivation! showcases Deb's work with her residential and corporate clients and since 2015 airs nationally. She also produces & hosts news/lifestyle segments called Organized in 60 Seconds which also went national in 2015. She has won numerous awards and speaks countrywide at conferences and events. Featured Products or Services: The DeClutter Coach & DC Efficiency Consulting Services include: Corporate Efficiency, Productivity, Time Management, Organization and Wellness Workshops Home Office and Business Organization and Workflow Analysis Motivational Workshops and Speaking Engagements Family Scheduling and Time Management Meal Planning, Shopping Preparation and Pantry Organization Downsizing, Moving Preparation and New Home Set Up, Room, Closet, Attic, Basement and Garage Organization. Deb is also a contributing writer to Women of Upstate NY Magazine and has a weekly column in the Utica Observer Dispatch newspaper. In addition, she is a regular guest on NewsChannel 9's Bridge Street and appears on local and national television and radio programs. Deb is the author of DeClutter Your Life NOW! A motivational guide to tackle the clutter in ALL aspects of your life. Locations: Our headquarters is based in Syracuse, New York but we provide outreach services to women all over New York State. Description: Women TIES has specialized in promoting, publicizing and uniting women entrepreneurs and their companies online and in person in order to cultivate strong economic relationships to advance their companies and eradicate pay inequality. Profile: Tracy began her entrepreneurial career in 1995 when she created her first company, Five Star Events, a special event management company. 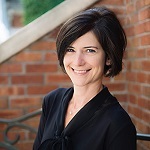 In 1997, she became the President of a local women's networking organization, where through her eight year leadership the organization grew from 8 members to 150 members in 2005. In 2005, Tracy created her second company, Women TIES, in order to help even more women in business. Women TIES is a state-wide network of women entrepreneurs in New York State. In 2005, Tracy was recognized by the US SBA with the "Women in Business Champion" award. Description: Content Marketing Strategy, Copywriting, & Speaking for an online presence. Empowering entrepreneurs to get clear on their core purpose and message and to use strategy to create, share, and repurpose content that leads to more referrals and sales. 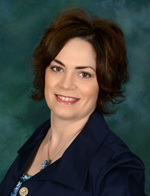 Description: Rochelle Fields has over 17+ years in the banking and credit analysis industries. She was most recently employed at PathStone Corporation, as director of business lending. ESL Federal Credit Union is a full-service financial institution with $5.0 billion in assets. The locally-owned financial institution employs more than 680 people in Rochester, New York, and includes approximately 325,000 members worldwide. Description: TechCreative is a company focused on empowering women entrepreneurs to grow their businesses with the use of technology: I am your technology partner! You talk, I listen, and then we work together to position you for success by helping you understand how technology solutions can work for you & and make your life easier! Profile: TechCreative, LLC is a company focused on helping creative women entrepreneurs implement technology to grow their businesses by offering technology education and business solutions. TechCreative is your technology partner! 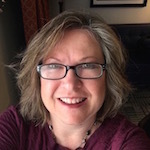 Susan Jefferson, Owner of TechCreative, LLC has three decades of experience as a computer professional working in computer programming and analysis, technical writing, project management, technology implementations, customer experience, and web design and development. Description: We are a full service occupational, environmental and industrial hygiene consulting firm. Description: Our Mission is to provide accurate and affordable services to businesses using the knowledge and integrity that will help them develop and maintain solid financial success. Running a business effectively in todays fast-paced, technologically advanced world can be challenging and time-consuming. Companies of all sizes get bombarded with offers for the latest in accounting programs, banking services, and other packages. It can be difficult to know where to start when you're buried under a pile of flashy offers designed simply to get you in the door. We can clear things up for you with a full range of personalized financial services at competitive rates that will free you up to focus on what you do best - running your business. Custom Accounting Services is comprised of a team of concerned experts - real people - who give advice you can trust when it comes to choosing your accounting setups, banking options, payroll systems, and more. CAS has been in business since 1995, and our staff has more than twenty years of combined accounting experience. Together we are committed to giving you all the advantages of a large accounting firm, with the added benefit of quality, personalized service tailored to your needs. Profile: Kim earned her Associates degree in Accounting with honors from Cayuga Community College, and has continued her education with a concentration in Taxation. She has been a bookkeeper since 1990, and worked for Key Bank and the Merry-Go-Round Playhouse before starting her own business. 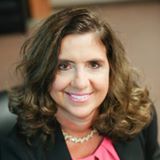 She is acting Finance/Budget Chair of the New York State Society of Enrolled Agents (NYSSEA), and was elected to Second Vice President of the Board of Directors in October 2012. 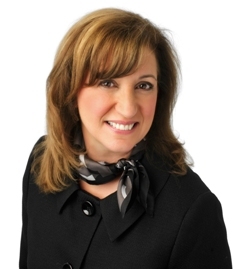 Kim has experience working with many clients in a wide variety of industries throughout New York State and around the country. She is also active in community service, providing financial advisory services to a number of non-profit organizations. 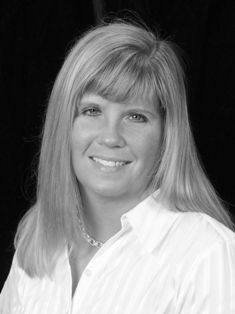 Kim founded Custom Accounting Services in 1995, and has since developed it into a complex company that offers much more than traditional accounting services. Proud of the educational focus of the firm, Kim is especially enthusiastic about the consulting work she does with other companies. She is an open book of tools and strategies that can be used to improve efficiency, be more successful, and effectively empower a small businesses owner. Kims philosophy is that if you teach business owners how to understand their own finances, they can then save money, make educated decisions, andmost importantlyknow when they need to ask for advice. Profile: I am an award-winning wealth strategist (personal finance expert) and business mentor helping women entrepreneurs transform their mindset to achieve real prosperity. My passion is working with women entrepreneurs who are ready for stratospheric 6-figure growth and professional fulfillment. I focus on helping women entrepreneurs and executives all over the world create real wealth, which I define as outstanding profitability and personal fulfillment. I understand the commitment it takes to do the internal mindset work needed to embrace your possibilities and realize your dreams. My background as an attorney gives you someone who knows how to keep secrets safe and who values quick decisions; you will not wander around doing random exercises. I want you to get resuls - FAST. Featured Products or Services: Training on business and personal development from the lens of money. When we know what drives us we can play to our strengths and temper our challenges. There is no magic bullet or cookie cutter solution; let me help you create the programs that deliver the income and savings results YOU want. This isn't financial planning. We are in this together for your complete wealth transformation. Locations: I'll come to you! Description: Microsoft Office training: Learn to use Word, Excel, PowerPoint, Outlook or Access to get things done faster, easier and more accurately! Training is done at your office with your choice of format: One on one at your desk In a small group setting With our mobile computer lab All classes can be tailored to fit your needs! Description: GwenInc. 's hallmark product is the Leadership Connection: A Resource Centered on Great Leadership. It exists to serve individuals interested in being confident, competent and courageous leaders. Profile: Gwen Webber-McLeod is a professional leader who has devoted her 30 year career to supporting others on the journey to effective leadership. She is a serial entrepreneur who has owned two other business in the CNY region. gwenInc. is the manifestation of her most high vision for her work. 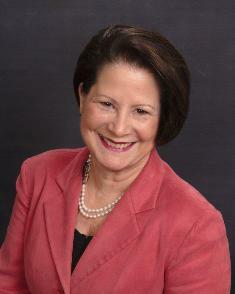 Gwen is civically engaged and enjoys serving on boards at the local, state, and national levels. She is the recipient of numerous awards. In 2007 Gwen was recognized as a Woman in Business by the CNY Business Journal and recieved the Phyllis Goldman Encouragement Award for Women from the Cayuga County Chamber of Commerce. In 2008 Gwen was inducted into the Academy of Diversity Achievers by the Syracuse YWCA. Gwen is married to Tracy McLeod and has three adult children,Andrew, Ashley and Travis. She became a proud grandmother to Julian Tracy McLeod in June 2008. Description: Market America/Shop.com is an internet franchise that is like Amazon.com but monetized. It is the fastest growing internet shopping business offering cash back to our customers. I specialize in our top-selling Isotonix Supplements, Transitions Weight Management Solution, and Business Development/Coaching.